The 263FS represents the largest of our growing fleet of Family Sportsman Boats. This model is packed full of the latest innovations in design and performance to provide the active outdoors family with all they could ask for on the water. Standard features include an under deck windlass, hardtop, side entry door with hidden ladder, power assist steering, folding bolster leaning post, dual live wells, and much more. Going fishing? It has 22 rod holders not including the horizontal storage racks under the gunnels that can hold your longest salt water rods. That's more than most dedicated fishing boats in this class. 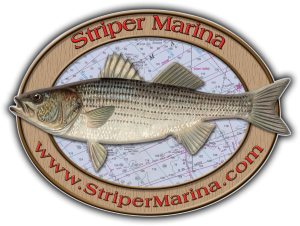 Staying inshore and enjoying a cruise? 16 cup holders and a carry aboard cooler. Access to the beautifully lined and assembled bilge components is large enough to allow a full grown man to crawl in completely and sit down. You can power it with twin outboards up to 600hp, but it will run in the 40mph range with a single 300hp engine for economical and relaxing days in the lake or on the open sea. With Key West Boats positive upright flotation in each model your family is always safe.